Industrial Visit for Civil Diploma 3rd Year students has been conducted successfully at 120 MLD water treatment plant UP JAL NIGAM, Pratapvihar Ghaziabad on 28/03/2017. We are verily happy to know the treatment tactics for purification of water, feedback and experience of our students. 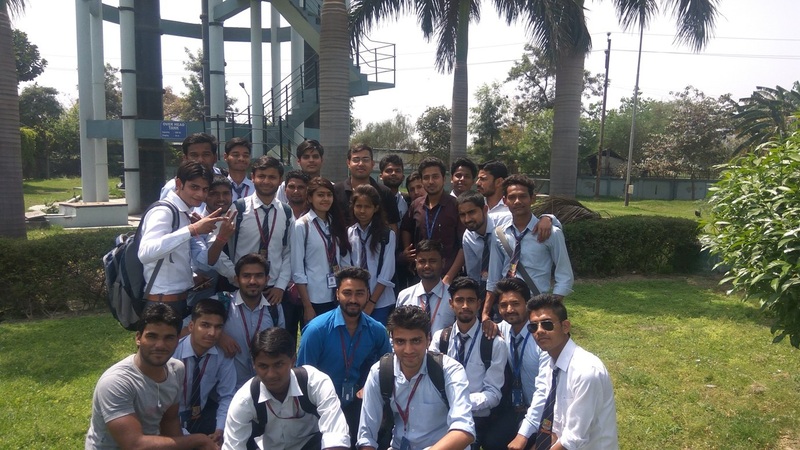 All the students really enjoyed it and thanked to KN MODI Foundation and Mr. Mayank Chaubey, who was working as Site Engineer at UP JAL NIGAM Water Treatment process. Inlet (Raw Water) -> (chlorine+ PAC) -> Flash MIxer -> Clarifier Zone -> Tube Settling Zone -> Filter Beds ( Rapid Sand Filter) -> Backwash -> Viewing Glass Chamber -> Reservoir -> Over Head Tank -> Distribution System.